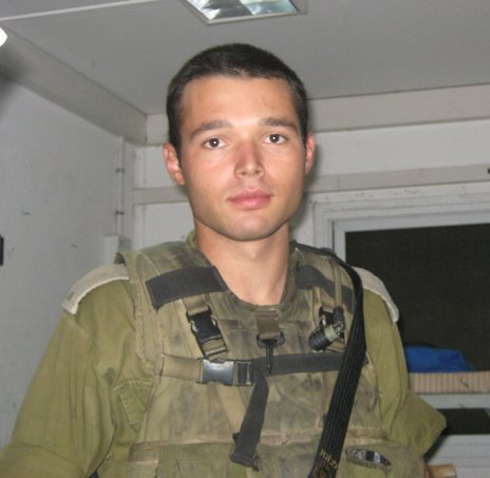 July 23, 2014 - Two IDF officers, Captain Dmitri Levitas (pictured above) and First Lieutenant Natan Cohen were killed in fighting in Gaza Strip overnight Tuesday, raising the death toll of IDF soldiers to 29, as Operation Protective Edge enters its 16th day. In the last 24 hours some 20 IDF soldiers were wounded, three are in serious condition and nine sustained moderate wounds. Captain Levitas, 26, an Armored Corps company commander from Jerusalem, was killed by sniper fire in Gaza. His family moved to Israel from Tashkent, Uzbekistan when he was just a year old, and he was planning a career in the military. First Lieutenant Cohen, 23, also served in the Armored Corps, but as platoon commander. Three IDF paratroopers were killed in Gaza on Wednesday. Lieutenant Paz Eliyahu, a 22-year-old Paratroopers Brigade soldier from kibbutz Evron. Staff Sergeant Lee Matt, a 19-year-old Paratroopers Brigade soldier from Eilat. Staff Sergeant Shachar Dover, a 20-year-old Paratroopers Brigade soldier from kibbutz Ginegar.